Learn more about Cafcass’ Directors and Board members. 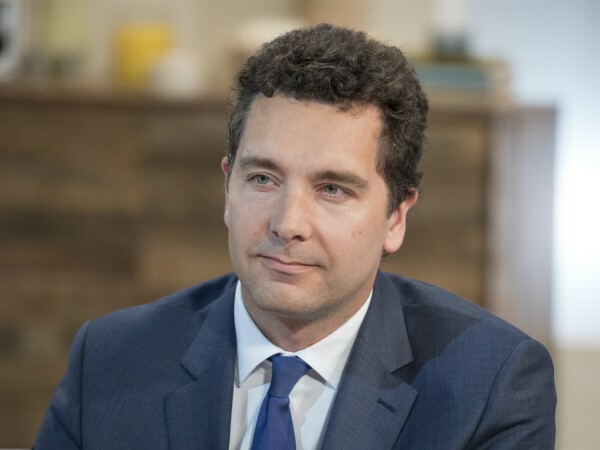 Anthony Douglas has been Chief Executive of Cafcass, the specialist national agency that supports over 125,000 children in public and private law cases every year, since 2004. Anthony started his career as an economist and journalist, but found his true passion in social work, where he worked on the frontline for 11 years. After being promoted through the ranks, Anthony became Executive Director for all community services in the London Borough of Havering in 1996, holding this post until 2002. He then went on to run health and social care services in Suffolk, from 2002 to 2004. He has been a school governor, a non-executive director of the Criminal Records Bureau (CRB) and a government adviser on specific programmes, including youth justice, children in care and child protection. He was Chair of the British Association for Adoption and Fostering (BAAF) from 2005 – 2015. 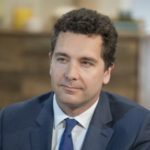 He has written four books on social care and is now writing a fifth book on how individuals, teams and organisations can become more resilient under pressure. Anthony was awarded a CBE in 2008 for his work in family justice and adoption. Christine Banim joined Cafcass in November 2008 as Operational Director for the central area, and brings with her a wealth of experience in children’s services. 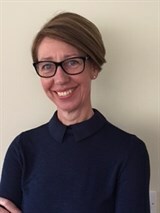 Prior to joining Cafcass Christine had worked as Assistant Director in Lincolnshire and, over the previous 15 years, had worked in a number of local authorities at a senior manager level. Before taking on managerial roles, she worked in a specialist child protection unit for nine years and has extensive experience in court work. Christine was awarded an OBE in 2015 for her services to children. Julie Brown joined Cafcass in 2008, having worked in both Adults and Children’s Social Care for a number of years. Prior to that, she worked in the Probation Service before its national reorganisation. After qualifying as a Chartered Accountant in the early 1990s, she worked for a number of years in both practice and industry until 2001, when she switched to, and then stayed, working within the public sector. 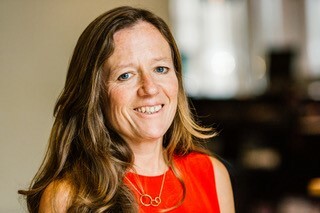 Teresa Williams joined Cafcass in 2018 from the Nuffield Foundation where she spent more than five years, most recently as Director, Justice and Welfare. In addition to overseeing Cafcass’ strategic objectives, Teresa will also be leading Cafcass’ input on the Nuffield Foundation’s Family Justice Observatory, which aims to improve the use of data and research evidence in the family justice system. Teresa brings a wealth of experience having worked in research roles across government and the justice sector previously. Before joining Nuffield, Teresa was Head of Access to Justice Analytical Services and Chief Researcher at the Ministry of Justice. She has also been a researcher at senior levels in the Home Office, the Government Social Research Unit at the Treasury, and the then-Department of Social Security. Teresa began her career as a quantitative researcher at the National Centre for Social Research. Edward is the former MP for Crewe and Nantwich (2008-2017) held roles as the Minister of State for Children and Families (2015-2016) and Minister of State for Vulnerable Children and Families at the Department for Education (2016-2017). He was also the Parliamentary Under Secretary of State for Children and Families between 2012 and 2015. Before entering Parliament, Edward spent ten years working as a family law barrister specialising in children’s cases. Growing up, his family fostered 90 children over 30 years and he has two adopted brothers. Fay Selvan started working as a social entrepreneur in 1991 and established The Big Life group in 2002. It is the first group of social businesses and charities in the country and has a turnover of circa £19m. The group operates across the north of England and includes well-known brands such as Big Issue North. It offers opportunities to people who have the least, helping them get to where they want to be. It works in the fields of Health and Wellbeing, Children and Families, and Employment and Training. Fay won the Social Enterprise Leader England Award in 2011. Fay is also Chair of the New Charter Housing Group (2014 to present) and Chair of the International Network of Street Papers (2014 to present). Fay completed an Honours degree at Sussex University before moving to Manchester in 1980 and she completed an MSc in Strategic Leadership in 2001 at Salford University. 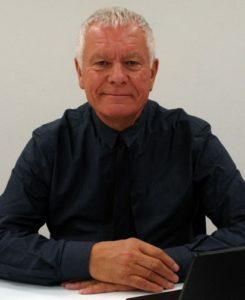 Previous appointments include Executive Sponsor for the Manchester, Salford and Trafford Health Action Zone (1999 to 2001); Chair of the Trafford North Primary Care Trust (2001 to 2006); Chair of the Trafford Healthcare Trust (2006 to 2012); Commissioner on the Channel 4 Street Weapons Commission (2010). Francis Plowden is currently a Trustee of CARE International (UK) and the Edward James Foundation (West Dean College). Previously, he was Chairman of CEOP, the national centre for the protection of children from sexual abuse and exploitation, and a Board member of the Serious Organised Crime Agency (2009-13). Among other public and private sector roles Francis was a Commissioner of the Judicial Appointments Commission (2006-2012); Chairman of the Greenwich Foundation (2003-2011); a Board member of ITNET plc (2001- 2005) and Hedra plc (2007-2008). Formerly a Chairman of the National Council for Palliative Care (2001-2008), he has also carried out advisory work for many Government departments, including the Ministry of Justice. He was a partner at PriceWaterhouseCoopers and at Coopers and Lybrand, where he was responsible for work for Government (1987-1995) and then led the company as Managing Partner International Affairs (1995-1998) and Head of work for Governments worldwide (1998-2001). Stuart Smith was for 12 years a Director of Adults & Children Services for both Calderdale Council and Liverpool City Council. He currently works as an Improvement Advisor to a number of councils in relation to Children’s Services provision. Stuart has led on several children’s services innovation programmes and led several peer Review teams in relation to Regional and National reviews of Local Authority provision. Previously Stuart was employed as Director of Education, Skills and Communities at Wigan Borough Council where he led on the new relationships with schools and the redesign of the school improvement service. Stuart has been a member of the CAFCASS Board for six years. and continues to be a member of the Association of Directors of Children’s Services. He has also held various teaching and youth worker roles. Caroline Corby worked in the city for 13 years specialising in private equity where she also served on a number of private sector boards across a range of industries. In 2007 she joined the Board of London Probation Trust (LPT) and she served as Chair of LPT from 2012 to 2014 when all trusts were wound up under the Transforming Rehabilitation programme. 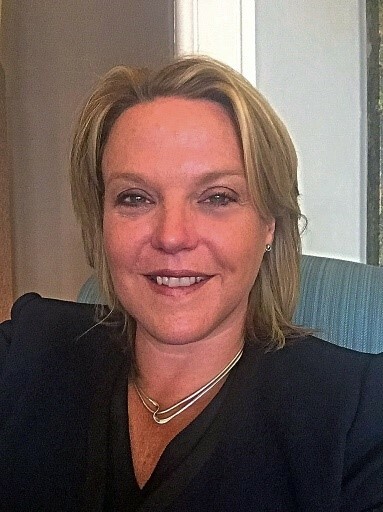 In addition to her role at Cafcass, Caroline is Chair of the Parole Board of England and Wales and a Non-Executive Director of the Criminal Cases Review Commission (which looks into possible miscarriages of criminal justice in England, Wales and Northern Ireland), One Housing (a housing association based in the South East) and JML (a consumer products business). In addition she chairs Fitness to Practice Panels for the Nursing and Midwifery Council. Deep Sagar had a career in the private sector, working in senior management for companies like Coca-Cola and Unilever internationally. More recently he has had many non-executive roles across sectors. His present roles include Chair of the Audit and Assurance Board of the National Police Chiefs’ Council and Member of the Parole Board. Previously he held roles such as Chair of G3 (Inspiring Individuals) and Turnstone Support and Non-Executive Director of HM Inspectorate of Education. Paul Grant has been the ‘Responsible Individual’ and a Director of an Independent Fostering Agency since 2012. He has held several non-executive director positions since 2007 and is currently a non-executive director of Nottingham City Care Partnership, a social enterprise that delivers community health services on behalf of the NHS. In 2014 Paul was appointed as a lay panel member of the Health & Care Professions Council’s fitness to practice panel. In March 2017 he was appointed as a Panel Chair. His previous career was in regeneration (Deputy Chief Executive of the New Deal for Communities programme in Nottingham), and in criminal justice and rehabilitation. He has been a volunteer educational advocate since 1998 when he co-founded Nottingham Black Families in Education. Joanna Nicolas is a child protection consultant and trainer, and has been a social worker for twenty-one years. She holds a number of advisory roles across a wide range of organisations in the public, private and third sectors, who need advice and expertise around safeguarding and child protection, including acting as national safeguarding advisor to Home-Start UK. Joanna works with organisations on a long or short-term basis. She also leads serious case reviews. Joanna develops and delivers safeguarding training. She is a core trainer for her Local Safeguarding Children Board. She is a national commentator on safeguarding children and social work, appearing regularly across the BBC, Sky and ITV. She speaks at national conferences. She is a published author; her books focus on the practical issues professionals face. She writes regularly for a range of outlets including the Guardian and Community Care. Catherine has a background in social work, safeguarding and policy development. She was previously an Executive Director of Children Services in London before retiring. She has worked in a variety of public sector services for over 36 years. Her portfolio at Executive level has spanned both central and local government, the NHS and more recently the Non-for Profit Sector. She has been a Non-Executive Director at the Disclosure and Barring Service since March 2015. 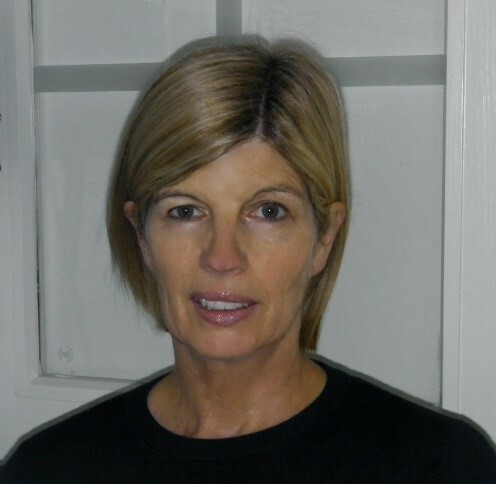 Mandy first joined the Civil Service in 1990 as Policy Lead for the Prison Service Medical Directorate, whereafter she has undertaken a range of roles based in various locations across the UK and in France. The majority of her career has been focused on operational delivery, organisational improvement, change management and programme delivery working in the Home Office, Ministry of Justice and for Cabinet Office. development and launch of a complex case management approach for women offenders. On leaving the Civil Service she worked as Business Development Director for NSL where she engaged with public bodies to enable effective document authentication and identity validation to prevent illegal working, identity theft and fraud. Mandy is currently a full time foster carer and foster care ambassador based in Kent where she lives with her husband and adult children. As a care leaver herself and from the work she undertook within the National Prison and Probation Service she understands the impact individuals can have in helping others change their lives and create better futures. 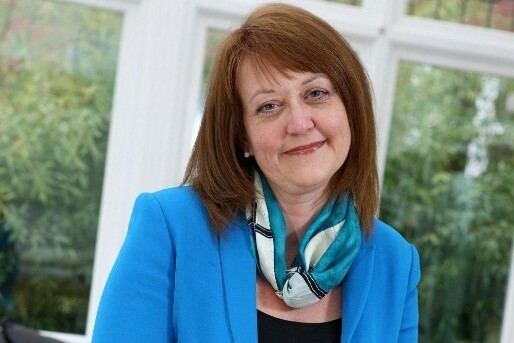 Sally Cheshire CBE is an experienced Chair, Board member and Audit Chair across the public sector and is an adoptive parent of three children. She is also a Board Member of the regional adoption agency, Adoption Counts and an independent member of adoption panels in the North West, which approve adopters and family matches in the best interests of children. Sally is Chair of the HFEA, the UK’s regulator of the fertility sector and embryo research. She has held a number of senior leadership roles across the NHS and the wider health sector and is currently also the Chair of Health Education England (North), which is responsible for the education and training of the 350,000 health and care staff across the North of England. Sally previously enjoyed a successful corporate career with Deloitte, one of the global professional services firms and, having moved into public sector work, is passionate about improving the quality of public services offered to families and patients and, in her adoption work, ensuring children’s wishes are respected and decisions taken in their best interests. Sophie is a highly experienced independent advisor on child protection and safeguarding, providing expertise to central government and local authorities. Sophie is known for her innovative approach to services to protect children and vulnerable adults, and most recently providing a response to one of the most pressing challenges to society today; the repeat removals of children into care from the same women year after year, www.pause.org.uk. As Founder Sophie has led the organisation from its initial Pause Practice in 2013 in Hackney to operating across over 24 local authority areas and in development across Scotland and Northern Ireland. Sophie is a member of the Ministerial Female Offenders Advisory Board and the Children’s Commissioner’s Advisory Board, and provided advice to the Oxfam GB Independent Safeguarding Review Panel.